Can you keep your ears warm without ruining your vintage hairdo? That's easy with this 50s Monroe Earmuff in Black! A stylish alternative to a hat and a perfect solution if you want to keep your hairstyle intact while also keeping your ears warm. 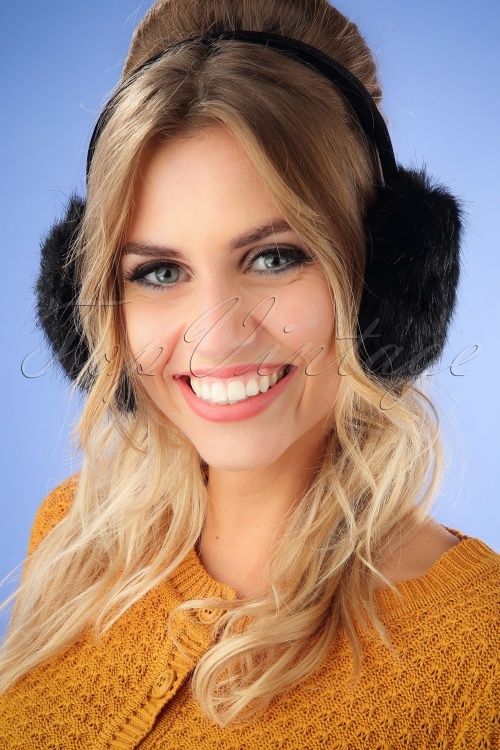 The hairband is made of soft, black velvet and the earmuffs are made of high quality, black faux fur. We definitely need this... furrr real! Sie halten sie ohren super warm, ohne die Frisur zu zerstören und passen sich jeder Kopfgröße an.